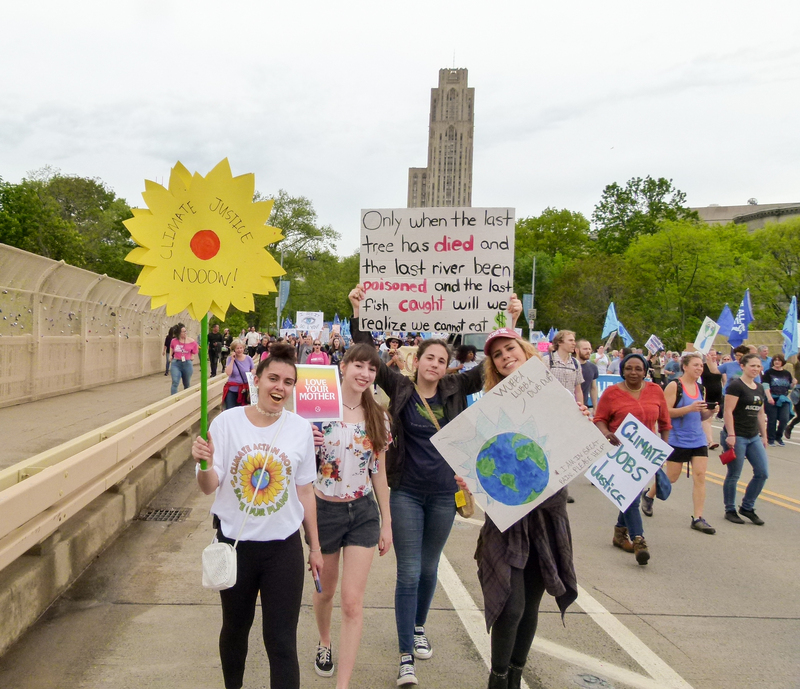 Hundreds of people assembled Saturday morning on Bigelow Boulevard on Pitt’s campus for the People’s Climate March. 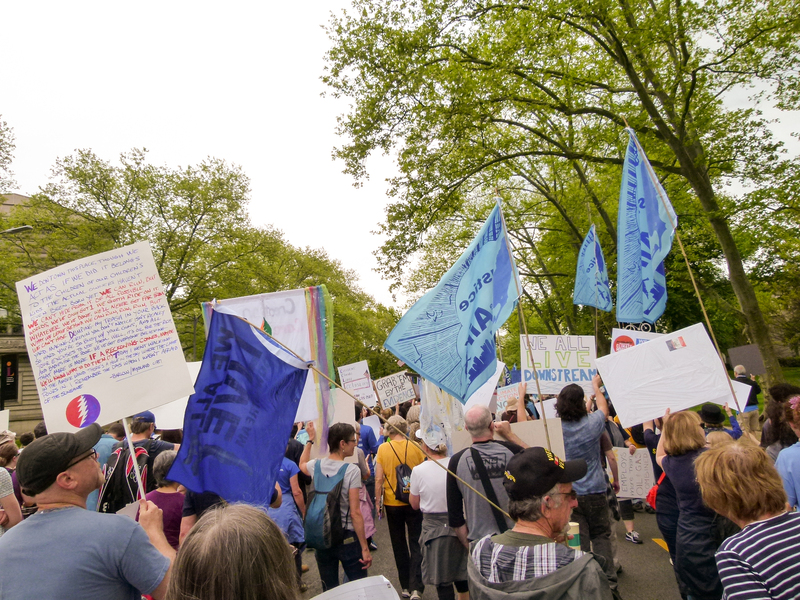 A diverse group of people, some representing various organizations, including the Sierra Club and Citizens’ Climate Lobby, marched through Oakland to Flagstaff Hill in Schenley Park. 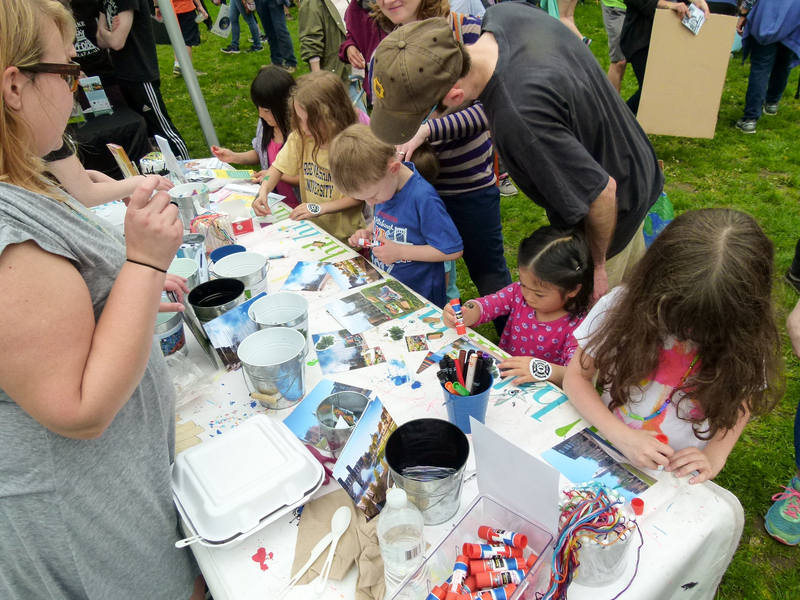 Mother Nature cooperated as the rain held off during the march. Pittsburgh and Univeristy of Pittsburgh officers did a good job of stopping traffic so the marchers could wind through Oakland unimpeded. 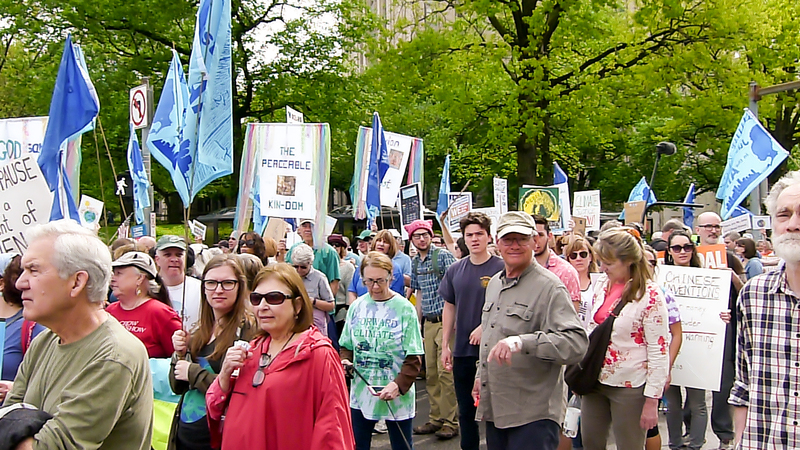 Protesters against climate change and pollution carried banners, signs, and flags while chanting “You can’t drink oil, leave it in the soil” and “When oceans rise we rise too.” After the March ended, many crossed the street to the front lawn of Phipps Conservatory where Communitopia’s FutureFest, a showcase for greener living, was taking place. Let’s all work together to lessen pollution and lead a greener life. People start to assemble for the People's Climate March. 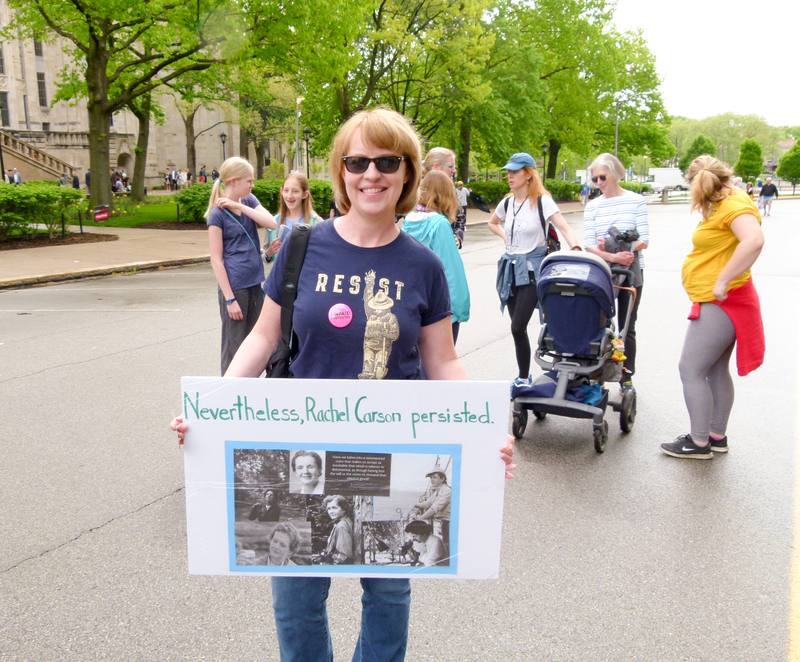 Jennifer Cooney, of Mt.Lebanon, holds a tribute sign to Pittsburgh environmental pioneer, Rachel Carson. 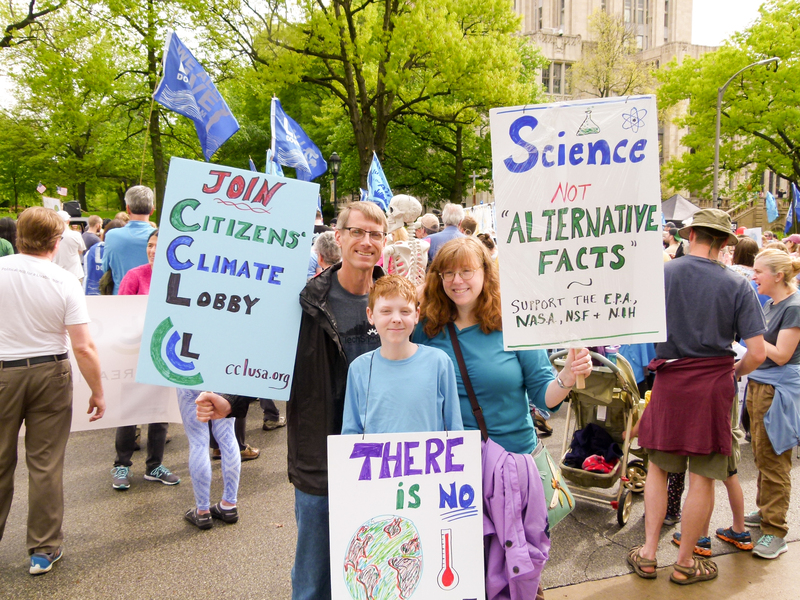 The family that marches together stays together. 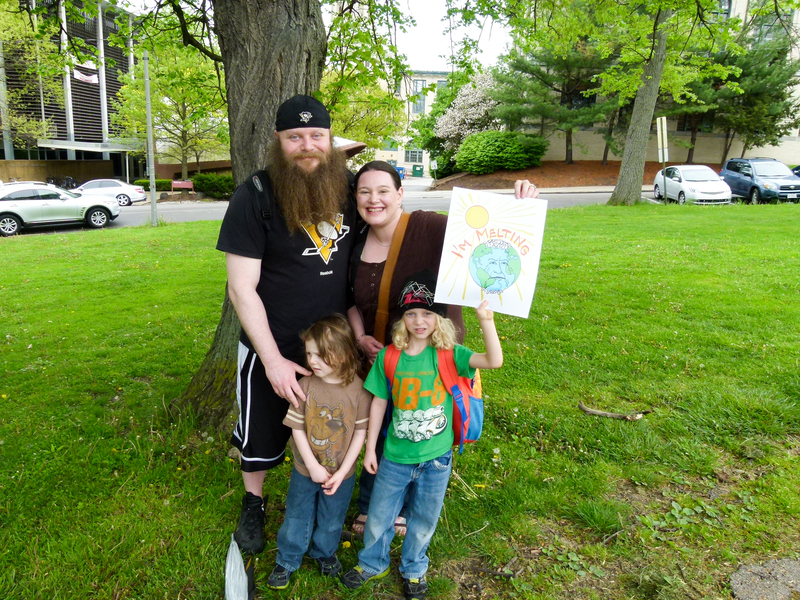 Chris Mullin with wife Sarah Gaffen (a Pitt professor) with their son Harry Mullin. 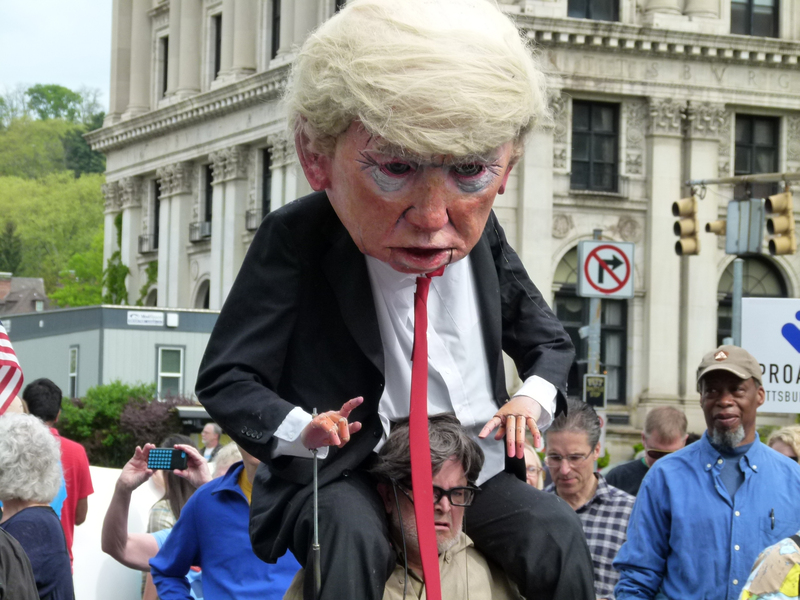 A large Donald Trump puppet sits on the shoulders of its operator (Steve O'Hearn) who is made-up to look like Trump adviser Steve Bannon. 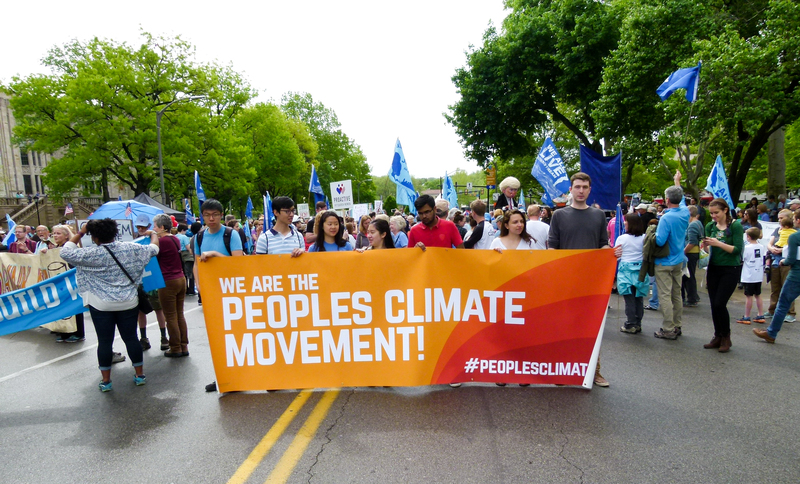 The People's Climate March kicks-off. 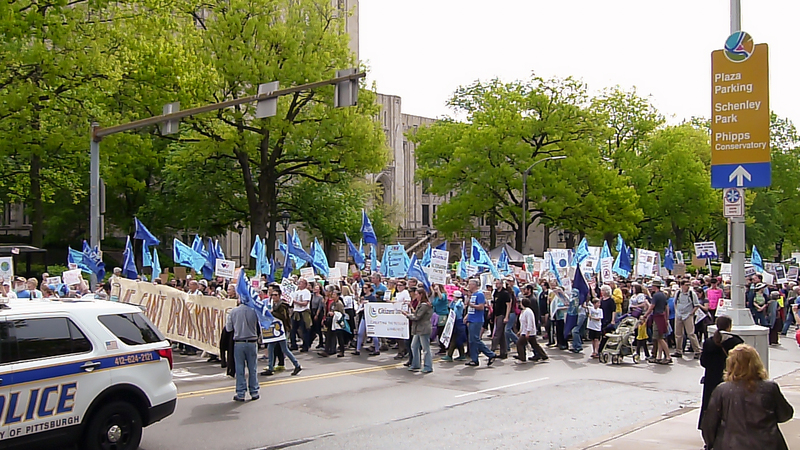 The marchers turn the corner onto Fifth Avenue. 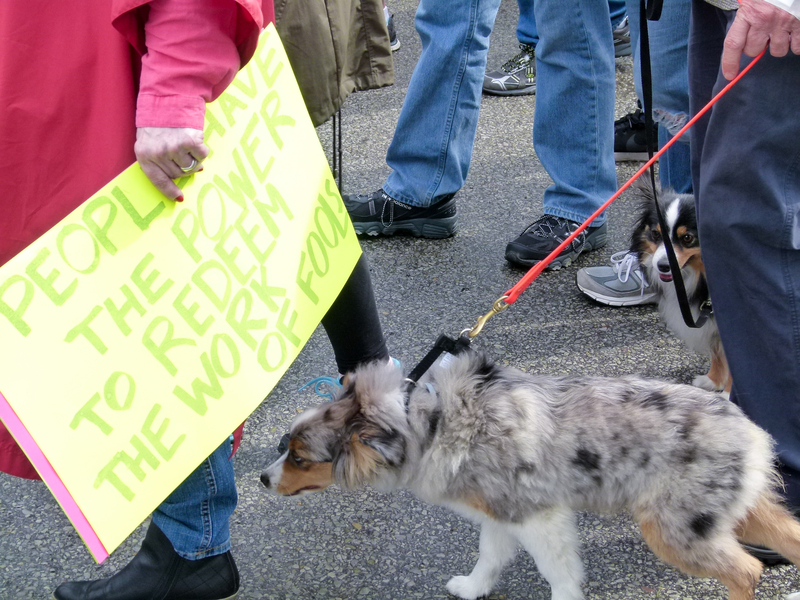 Even dogs were marching against climate change. View from inside the column of marchers. 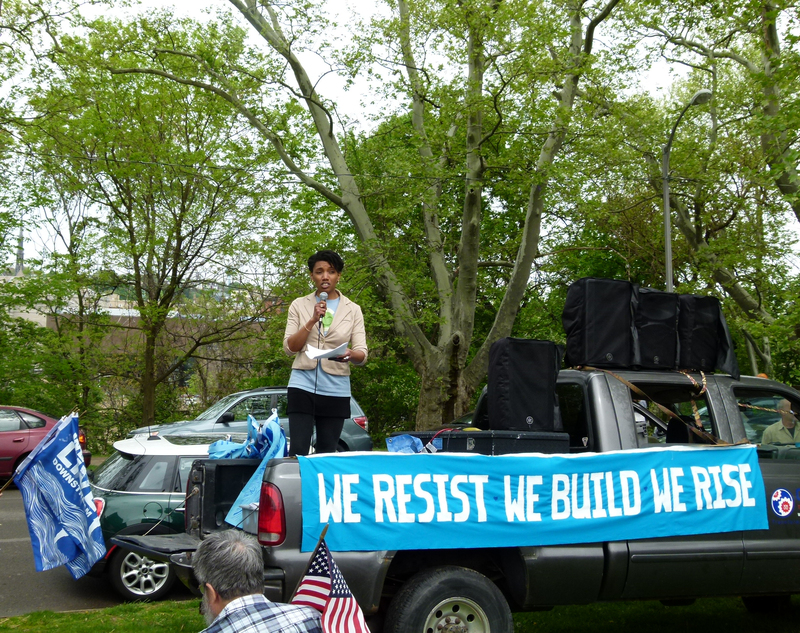 Samey J., of Pittsburgh United, calls out the chants for the march. 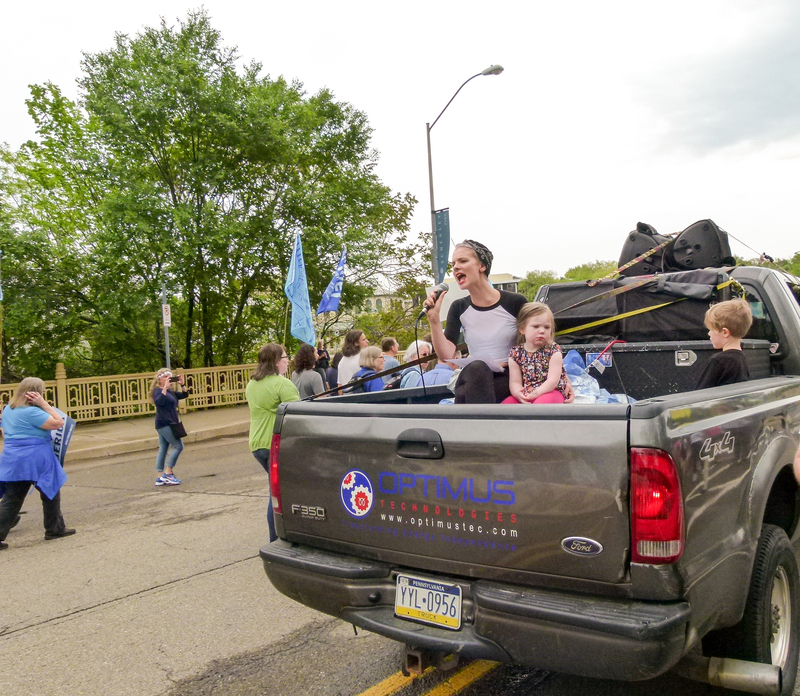 High school friends from Peters Township marching in support of Mother Earth: (from left) Izzy, Abby, Nora, and Maille. 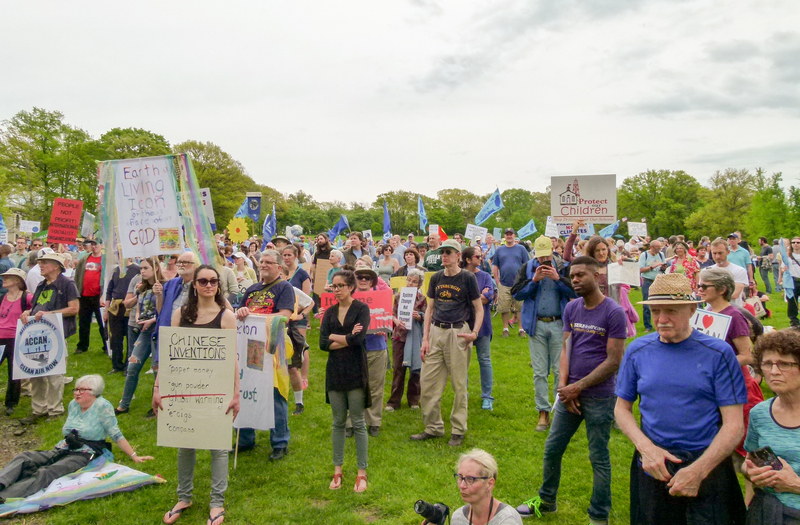 People listen to post-march remarks at Flagstaff Hill in Schenley Park. Joylette Portlock from Communitopia.org speaks to the crowd. 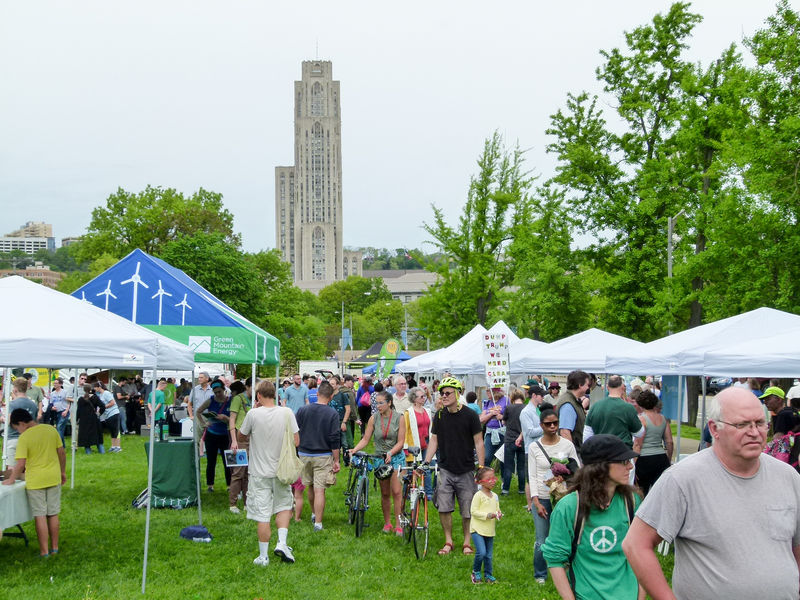 FutureFest, an expo of green products, was taking place on the front lawn of Phipps Conservatory. 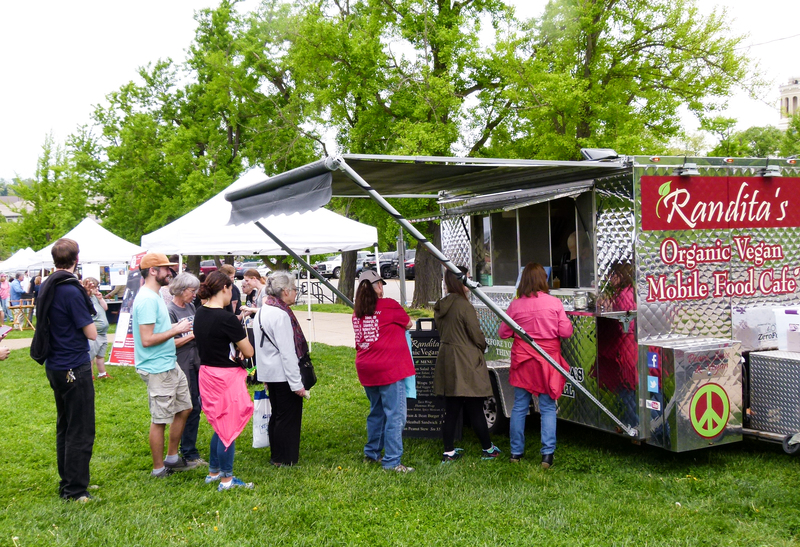 Randita's and Cool Beans food trucks were on hand with food for hungry marchers. 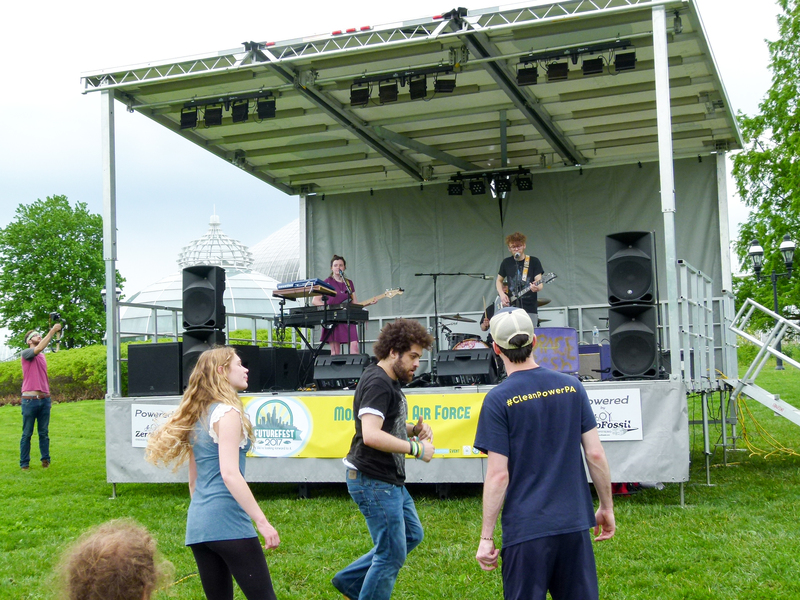 Local bands were playing some danceable music. Young creatives were having fun making their masterpieces at the Children's Museums' art table. Rick Handler is Entertainment Central’s executive producer and a strong environmentalist.